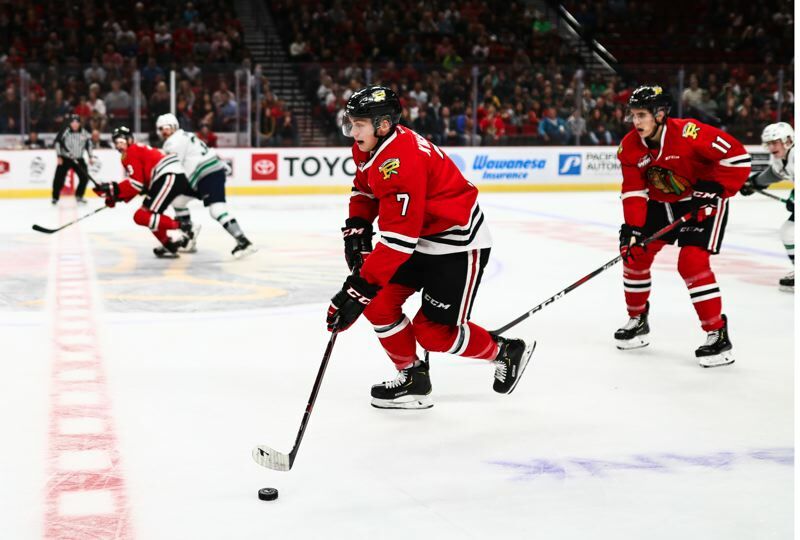 The Portland Winterhawks got their first win of the 2018-19 Western Hockey League season on Saturday. And it came in a very pleasing way. It came in the team's home opener, attended by 8,208 at Moda Center. It came against the rival Seattle Thunderbirds, 4-2. And it came with Portland scoring three goals on the power play. Each team scored once in the second period, during which they combined for 45 penalty minutes and three game misconducts. Reece Newkirk got the Winterhawks goal in the frame to give his team a 2-1 lead. Jared Freadrich scored with the man advantage 1:09 into the final period, giving Portland a 3-1 edge. After a Thunderbirds goal at 10:00, Portland scored into an empty net at 18:57, with Joachim Blichfeld doing the honors. Freadrich had three assists, as did Portland's Cody Glass. Portland led in shots on goal, 42-32. Shane Farkas made 30 saves for the Hawks. Seattle, which was 0 for 5 on power plays, fell to 2-1-0-0.